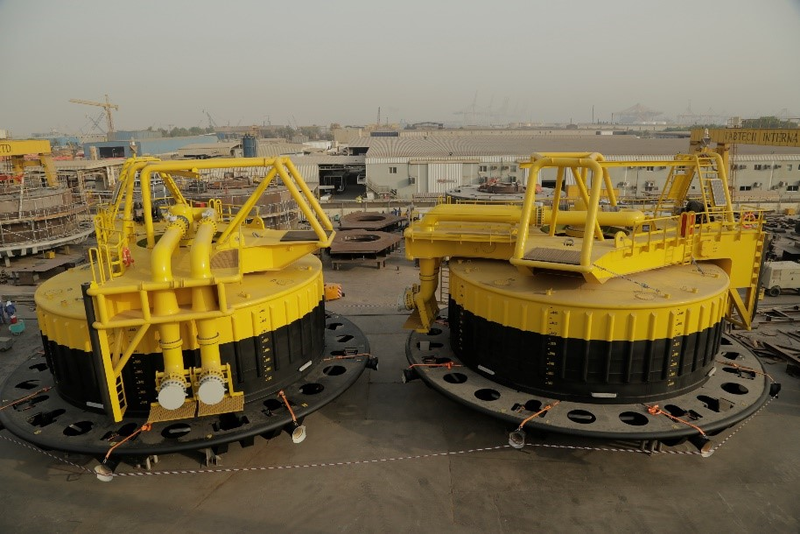 A total of 48 bearings and bushings were supplied in 2014 for installation to the chain stoppers of Monobuoy’s 400t turntable Calm Buoys, a single point mooring system designed to allow oil tankers to load and offload cargoes offshore, without having to berth alongside the refinery. However, the ensuing Libyan conflict resulted in the project being postponed until late last year, when they finally entered service. Thordon’s authorized distributor in France, Wenex, calculated the load on each bearing, a crucial element in optimizing the design of the Calm Buoys in line with the customer’s requirement. 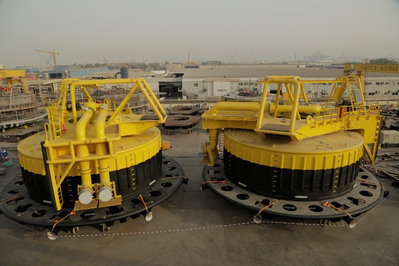 A specialized stainless steel cladding solution was chosen to protect the 600mm (23.622”) diameter shaft, and Thordon’s COMPAC elastomeric polymer alloy bearings were selected to ensure the longest possible life in an unpredictable and demanding open ocean environment.